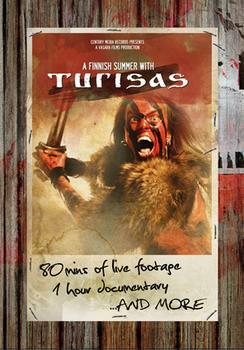 Audrey DUJARDIN worked together with Mathias &apos; Walord&apos; Nygard of TURISAS on the development, content, interviews and a lot more for the band&apos;s first DVD &apos; a Finnish Summer with Turisas&apos; throughout the whole summer. The DVD is available for purchase in all channels and was released via Century Media Records. View a teaser HERE or click on the image below.